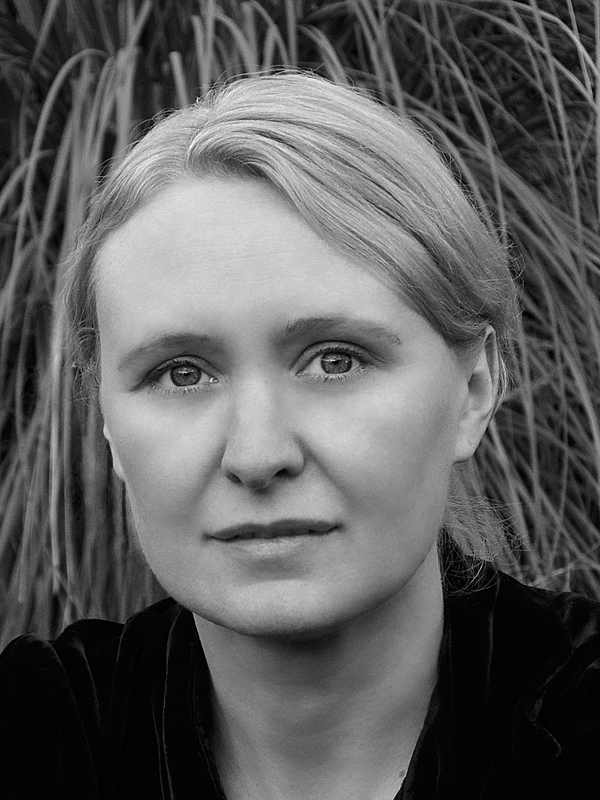 Aleja Szucha. Irena Sendler knew her destination. The door slammed shut up front, and the black prison car lurched into motion. She had been given only minutes to dress, and her fair, bobbed hair was bed tousled. Janka Grabowska had run down the front path with her shoes and thrust them at her at the last moment, braving the violent caprices of the soldiers. Irena hadn’t thought to lace them. She was focusing on just one thing: staying calm and keeping her face blank, placid. No sad faces. That was the wisdom Jewish mothers gave to their children when they left them for the last time in the care of strangers. Irena wasn’t Jewish, but it was still true that sad faces were dangerous. They must not think I have any reason to be frightened. They must not think I am frightened. Irena repeated that thought silently. It would only make what was coming harder if they suspected what she was hiding. But Irena was frightened. Very frightened. In the autumn of 1943 in Nazi-occupied Poland, there were no words more terrifying than “Szucha Avenue.” There may have been no words more terrifying anywhere in wartime Europe. It was the address of the Gestapo headquarters in Warsaw. The brutalism of its exterior seemed cruelly suited to the Germans’ purpose. From inside the squat complex of buildings, the corridors echoed with the screams of those being questioned. Those who survived remembered afterward the rank scent of fear and urine. Twice a day, just before noon and in the early evening, black vans punctually returned from the holding cells at Pawiak Prison to collect the bruised and broken bodies. Irena guessed that it was just after six o’clock in the morning now. Maybe six thirty already. Soon the late October sun would be rising over Warsaw. But Irena had been awake for hours. So had everyone in the apartment building. Janka, her trusted liaison and a dear friend, had joined a small family celebration for the feast of Saint Irena that night. After gorging on cold cuts and slices of cake, Irena’s frail mother and her visiting aunt retreated to the bedroom. But Janka had already missed the curfew and would have to spend the night. So the younger women camped out in the living room and sat up late, talking and drinking tea and cordials. After midnight, Irena and Janka dozed at last, and by three a.m. the girls were sleeping soundly on makeshift cots. But in the back room, Irena’s mother, Janina, was restless. How Janina had enjoyed hearing the carefree murmur of the girls’ voices! She knew from her daughter’s taut jawline that Irena was taking chances, and she had a mother’s heavy worry. Pain made it hard to sleep, and so Janina let the thoughts carry her. Then, in the darkness, came a sound that she knew was wrong. The heavy thudding of boots echoed from a stairwell somewhere. Irena! Irena! Janina hissed in an urgent whisper that penetrated Irena’s dreams. Bolting awake, Irena heard only the anxiety in her mother’s tone and knew in an instant what it meant. Those few moments to clear her head were the difference between life and death for all of them. What came next was the racket of eleven Gestapo agents pounding at the apartment door, demanding entry. The fear brought a strange, metallic taste to Irena’s mouth, and underneath her rib cage the terror came and went in shocks that felt electric. For hours the Germans spewed threats and abuse, gutted the pillows, and tore apart the corners and cupboards. They pulled up floorboards and broke furniture. Somehow they still didn’t find the lists of the children. The lists now were all that mattered. They were just thin and flimsy scraps of cigarette paper, little more than rolled bits of tissue, part of Irena’s private filing system. But written on them in a code of her own invention were the names and addresses of some of the thousands of Jewish children whom Irena and her friends had saved from the horrors of Nazi persecution—children they were still hiding and supporting in secret locations all across the city and beyond Warsaw. At the last possible instant, before the door flew open, giving way to the bludgeons and pounding, Irena tossed the lists on the kitchen table over to Janka, who with brazen aplomb stuffed them into her generous brassiere, deep under her armpit. If they searched Janka, God knew, it would be all over. It would be even worse if they searched Janka’s apartment, where there were Jews hiding. Irena could hardly believe it when the Germans themselves covered up the worst bit of incriminating evidence: she watched, mesmerized, as a small bag with forged identity papers and wads of illegal cash was buried under the debris of smashed furniture. She wanted nothing more than to fall to her knees in that moment. And when she understood that the Gestapo wasn’t arresting Janka or her mother but only her, she was positively giddy. But she knew that the laughter rising inside her was tinged dangerously with hysteria. Dress, she told herself. Dress and leave here quickly. She threw on the well-worn skirt she had folded over the back of the kitchen chair only hours earlier and buttoned her sweater as fast as she could to speed her departure before the agents had a chance to reconsider, and walked out of the apartment into the cold autumn morning barefoot. She hadn’t even noticed until Janka came running. Now, though, she had time to think about her own dilemma as the car swayed at each street corner. Sooner or later there was no question that they would kill her. Irena understood that already. This was how her story ended. People did not return from Aleja Szucha or from the ghetto prison at Pawiak, where arrestees were locked up in between their bone-crushing interrogations. They did not return from the camps like Auschwitz or Ravensbrück, where the innocent “survivors” of the Gestapo were deported. And Irena Sendler was not innocent. The sedan cranked hard to the right as it headed southeast across the still-sleeping city. The most direct route would take them toward Warsaw’s broad prewar avenues, first skirting west and then south of the wasteland that had once been the Jewish ghetto. During the first years of the Nazi occupation, Irena had been in and out of the ghetto three or four times a day sometimes, each time risking arrest or summary execution, trying to help to save some of their old school friends, their Jewish professors . . . and thousands of small children. Now, in late 1943, there was only ruin and rubble. It was a killing ground, an endless graveyard. The ghetto had been leveled after the Jewish uprising that spring, and her friend Ala Golab-Grynberg had disappeared inside that inferno. Word in the underground whispered that Ala was still alive, in the forced-labor camp at Poniatowa, one of a group of young militants secretly planning their escape from the prison. Irena hoped that, when this barbaric war was over, Ala would make it back to collect her small daughter, Rami, from the orphanage where Irena had her hidden. The prison car passed a few blocks north of what had once been the Polish Free University. The institution was another war casualty. Irena had completed her degree in social work across town, at the University of Warsaw, but she had been a frequent presence on the Polish Free University campus in the 1930s, and it was there, thanks to Professor Helena Radlinska, that her resistance cell had been formed. They had been, almost to the last one, Dr. Radlinska’s girls in the days before the occupation. Now they were part of a well-organized and daring network, and the professor had been the inspiration for that too. It was a network of urgent interest to her captors. Irena was in her early thirties now, but her girlish, waifish looks were deceiving. The Gestapo had just captured one of the most important figures in the Polish underground. Irena could only hope that the Germans did not know it. Crammed in beside her, a soldier, in his tall leather boots and with a tangling whip and truncheon, let down his guard. It was the end of their nighttime shift of terror. Irena sat on the lap of another young recruit, and she guessed that the boy wasn’t more than eighteen or nineteen. They even seemed, she thought, to be dozing. Irena’s face was calm but her mind was racing. There was so much to consider and so little time left to her. Janka knew exactly how important these lists were—and how dangerous. If the lists were discovered, it would set in motion a chain of executions. The Gestapo would hunt down the Jewish children. They would murder the Polish men and women who had agreed to care for them and hide them. Zofia and Stanislaw. Wladyslawa and Izabela. Maria Palester. Maria Kukulska. Jaga. And they would kill Irena’s mother, even though the frail, bedridden woman could only guess at the extent of her daughter’s shadowy activities. The Germans followed a strict policy of collective punishment. Entire families were shot for the transgressions of a single member. Irena couldn’t help but feel that she had once again been a bad daughter. She had always been, she knew, more like her impetuously idealist father. If the lists were lost or Janka destroyed them as a safety measure, there was another agonizing dilemma. When Irena died, there would be no one to reconstruct them. Irena was the general in this citizens’ army and the only one who knew the details recorded on them. She had promised mothers and fathers who went to Treblinka that she would tell their children who had loved them. When she was dead, there would be no one able to keep that promise. There was one other question, too, that shook her: Who would tell Adam Celnikier? Adam. Her Adam. Her husband, Mietek Sendler, was somewhere in a German prisoner-of-war camp, and it would take weeks or perhaps months for word of her execution to reach him. It would eventually if he was still living. But she and Mietek separated before the war, and it was Adam she loved—Adam, whom even now friends were hiding under a false name and new identity. One of Warsaw’s few surviving Jews, Adam was among the hunted, and his life was in constant danger. The engine of the Gestapo sedan reverberated through the silent morning streets of Warsaw. With each turn, the soldiers roused slightly. Irena had to prepare herself now for what came next. She had to prepare herself to give away nothing, no matter what torture was inflicted. Too many lives depended on it. Irena had risked her life to keep the children hidden. Now she was more determined than ever to die with her secrets. What if she was not strong enough to do it? If the pain were great enough, would she even betray Adam in his secret hiding place? She wondered now what she could bear. When they broke her bones with cudgels and pipes in the days to come, that thought would haunt her. It was a cold morning, and fear was also chilling her. The car rolled now smoothly eastward along the broad avenue, picking up speed on the final stretch of her journey. Soon they would reach Aleja Szucha and her last destination. There they would strip and search and beat and question her. There would be threats and intimidation. There would be lashes and agony and cruel torments that were at that moment still unimaginable. Colder things were coming. Irena slipped her hands into her coat pockets to warm them for a few moments. Her heart froze the instant her fingers touched something light and thin and crisp. Cigarette paper. Irena suddenly remembered that there was one part of the list that she had forgotten. On it was an address. It would betray the life of someone she had meant to check in on that morning. It was there between her fingers. This readers group guide for Irena’s Children includes an introduction, discussion questions, ideas for enhancing your book club, and a Q&A with author Tilar J. Mazzeo. The suggested questions are intended to help your reading group find new and interesting angles and topics for your discussion. We hope that these ideas will enrich your conversation and increase your enjoyment of the book. When German forces occupying Poland during World War II begin isolating and eradicating the Jewish population of Warsaw under Hitler’s orders, Irena Sendler, a young social worker, courageously devotes herself to saving as many people as she can. Inspired by the life and work of her professor and mentor, Dr. Helena Radlińska, Sendler collaborates with fellow students, friends, her forbidden Jewish lover Adam, and countless others to deliver children of all ages from the hell of the Warsaw ghetto to hidden safe spots elsewhere in the city. The heroes in her network risk their lives daily—and many lose their lives—in order to save more than 2,500 children and countless adults who would otherwise be sent to their deaths at the hands of the Nazis. With a healthcare pass, Sendler travels in and out of the ghetto herself, making secret deliveries of food and medicine and smuggling out babies and children whose desperate parents beg her to take them. Although the discovery of any record-keeping would mean death for Sendler, she writes the names of the children she rescues on small slips of paper and guards the lists with her life in the hope that their true identities will not be lost and that reunification with their families will be possible some time in the future. As the death toll in Warsaw climbs and German soldiers begin looking for the resistance leader known as “Jolanta,” the risk of what Sendler stands to lose grows ever greater. Yet, confronted with what seem to be insurmountable obstacles, she continues on with unwavering and awe-inspiring determination and fortitude in a brave mission of hope that will affect entire generations to come. 1. In the preface to the book, the author reveals that many of the people she wished to interview for her research told her: “I don’t like to talk about those years with anyone who didn’t live them” (page xii). Why did those people prefer not to discuss that time with anyone who didn’t live then? Do you agree that this is advisable? Why, or why not? The book then opens with a reference to a Yiddish folktale. What does the book ultimately seem to suggest about storytelling and the written word? 2. Also in the preface, the author speaks of her choice to show the complexity of Irena’s character, stating that she thought it would be dishonoring Sendler to portray her as a saint (page xii). Why do you believe Mazzeo made this choice? How does Mazzeo’s portrayal of heroism compare to, or differ from, traditional portrayals of heroism you have encountered, particularly within the genres of historical fiction and nonfiction? 3. Irena’s father taught her that “people are either good or bad” (page 18). Do you agree with this statement? Why, or why not? What did her father mean by this, and what did he think a person should not be judged by? What does the book ultimately seem to suggest about human nature and about how a person should be judged? 4. Why does Dr. Radlińska inspire so many of the people she meets? What causes is she committed to? What does she teach her students about “the commitment of a small group of well-intentioned people” (page 29)? Do you agree with her? Where do we find her concept in action elsewhere in the book? 5. In Chapter 8, the author says that Ala Gołąb-Grynberg “struggled between the instinct of a mother and that of a nurse and a social worker” (pages 126–27). What does she mean by this? Which of the roles ultimately took priority? Do you believe that this was the right choice? Explain. How are other people in the book forced to choose or prioritize among their different roles, and how do they reach their decisions? 6. Consider the treatment of religious faith in the book. How important is faith to the people characterized in the book? How important is it to Irena? Why are so many people angry that the children being rescued from the Warsaw ghetto are often baptized? Do you agree that the baptism was necessary? Why, or why not? 7. Evaluate the theme of identity. How is identify defined in the book? Is identity portrayed as something that goes unchanged, or is it flexible? How do issues of identity create—or otherwise help to resolve—conflicts? What issues of identity arise in the book and how do the characters react to them? 8. Does the book ultimately suggest whether there is a fixed or universal code of ethics and morality and a fixed notion of what is “good” and what is “bad”? Explain. Consider also how complicity is treated in the book. Who is complicit, and why do these people choose to be complicit? Do their motives in some way justify their actions? Why, or why not? Likewise, many of the people portrayed in the book betray one another. What is at the root of these betrayals? Discuss. 9. Evaluate the theme of hope. In what do the characters find hope? Is hope ultimately depicted as a positive and helpful force or a negative and frivolous force? Explain. For instance, why do so many people go to the Hotel Polski? What ultimately happens to them as a result of their decision? What does this indicate about the power of hope? What other examples of hope are found in the book? 10. Why are the lists that Irena keeps so important? What is their purpose? In addition to why they are important for the children she saves and their families, how do these lists come to influence Irena’s own fate? 11. The author tells us that, at the end of her mother’s life, Irena came to the realization that “she had been a terrible daughter” (page 233). Why does Irena think this? Do you agree that she was a bad daughter? Why, or why not? 12. After the “liberation of Poland” (page 254), how did the people who lived during that time cope with their tragic history? How does Rachela Rosenthal cope, for instance, with the tragedies she faced? 13. The author tells us that Irena did not wish to be thought of as a heroine. Why does Irena say this? Why does she believe that her acts were not heroic? Do you believe that Irena’s actions were heroic, or do you agree with her that what she did was simply “normal” (page 263)? Does Mazzeo’s book ultimately suggest how we should define heroism? Explain. 14. Why do you think the author chose to append a coda? What information does she reveal in it? How does she say that the story of Irena presented in the book varies from a fairy tale or a movie version of the story? What happens to Irena after the Germans withdraw from Poland? How is Irena’s life influenced by the events that took place during that time period? 15. In the Afterword, the author states that she considers Irena’s Children a work of nonfiction. What were some of the obstacles the author faced in writing about this topic and presenting it as a work of nonfiction? What does this tell us about the way we talk about and write about history? Can we ever achieve an accurate portrayal of historical events? Explain. 1. Irena Sendler has been called “the female Oskar Schindler.” View Steven Spielberg’s 1993 film Schindler’s List. What do Irena Sendler and Oskar Schindler have in common? Alternatively, what sets them apart? How does the visual portrayal of the events in the film compare to Mazzeo’s written account of this time? 2. Use Irena’s Children as a starting place to discuss the subjects of racism and persecution. What role does complicity play in the perpetuation of them? Within this context, discuss why Irena Sendler’s story is relevant today and what we can learn from her story. 3. 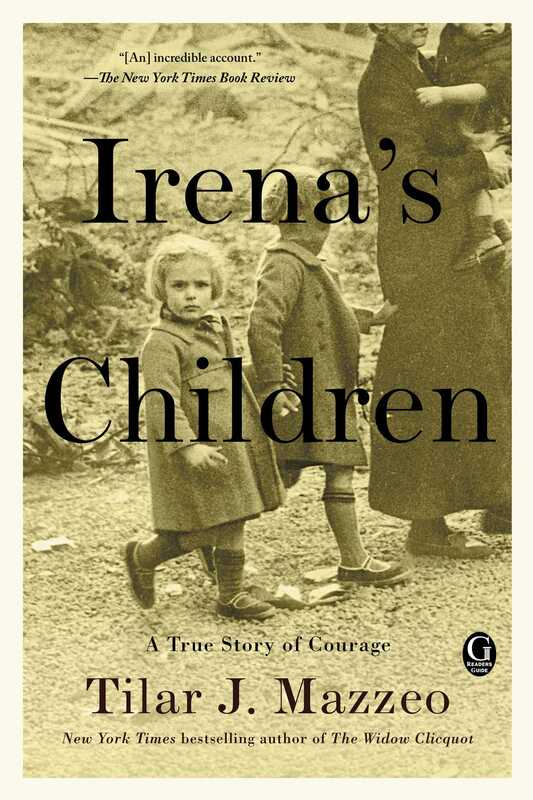 Compare Irena’s Children to a fictional account of the events of World War II. How does Mazzeo’s book compare, for instance, to Kurt Vonnegut’s Slaughterhouse-Five? Does one genre—fiction or nonfiction—seem to be more effective than the other in treating this subject? Explain. Discuss how Mazzeo’s book challenges conventions of historical nonfiction. 4. Have you ever stood up for a cause at the risk of your own well-being? Discuss. What causes have you or would you be willing to stand up for as Irena did? What would you be willing to risk for your cause? Do you think you would have made the same decisions that Irena did? Explain why or why not. Discuss an event that affected your family for more than one generation. What first inspired you to tell the story of Irena Sendler? Can you discuss the book’s origins? Why were you particularly interested in telling the story from Irena’s point of view? In the first pages of the book, I talk a bit about how I came to write Irena’s story and about how I first heard about this “lost” heroine in Poland. For me, Irena is at the center of a group of friends who do something amazingly courageous and decent, and I tell the story from her perspective because, in a sense, she’s the ringleader. But, in a way, I also think of this as a book about the perspectives of a small group of friends—Irena, Ala, Rachela—and how their stories unfold in different directions. Where and how did you begin to write the story of Irena Sendler, and how did you choose where to end the story? I chose to begin the book with one of the most dramatic scenes in Irena’s life: the moment that she is arrested by the Gestapo. I thought that it was important for the reader to understand, from the very beginning, the stakes. The actions that Irena and her friends took were truly a life-or-death gamble. But it was also important, after that, for the book to move chronologically through Irena’s childhood, because the influence of her father was profound. This biography of Irena stops at the end of the Second World War, and there were complex reasons for this. The primary reasons are that telling the story of the Communist period in Poland and gathering the archival materials that would be required is still extremely challenging. Poland is going through an informal period of “truth and reconciliation,” and for many people this is still a period of living memory. These are stories that need more time to pass before they can be told with the kind of complexity the history demands. But there were also other reasons. After the war, Irena was in a particularly difficult situation, and it was a large part of the reason why her wartime story was silenced for such a long period. For her, what came after the war was another life entirely. So I think of this book as “the first life” of Irena Sendler. In the Afterword, you clearly categorize this book as a work of nonfiction. Why did you choose to write and present the book in this way? Irena Sendler is a historical public figure, and she and her friends did the things I write about in this book. The children she saved were real people, who went on to have real lives and families, in most cases. So nonfiction was an easy decision. But nonfiction doesn’t mean that this is the one and only truth about these people or this moment in history. Nonfiction is a window on the past from one perspective. Historical storytelling always involves an element of subjectivity, and it always tells you something about the personality and interests of the storyteller as well as her subjects. What kinds of sources did you consult in order to prepare for the writing of this book? What information that you discovered was the most surprising to you? I find the story of Ala incredibly moving and inspiring, and that was a story that I discovered only halfway through the writing of this book. There were moments when I wished that I were also writing the biography of Ala, and I did revise the book late in the process to tell more of her story alongside Irena’s. The story of those two friends—who were both so brave and dedicated—and how their lives unfolded is very poignant to me and says something important, I think, about the truth of the Second World War. What were the biggest obstacles you faced in writing this book, and how did you overcome them? While the research for this book often involved quite a lot of problem solving and creativity to find the pieces of the story, the hardest part of writing this book was emotional. It is very difficult to sit down every day and read or write about this kind of mortal danger and the history of the Nazi period, especially because when you write biography you become quite attached to your subject in intimate ways. I spent more time “with” Irena than with anyone else in my life during the time I was writing this book. You also become very emotionally involved during personal interviews in some cases, especially when you are talking about Holocaust experiences and the life or death of people’s families. The last summer I worked on this book was especially challenging: outside my study, I could hear the joyful screams of my young stepchildren and my young niece and nephew—the niece and nephew I write about in the first pages of the book—jumping in the pool and running around. Inside, I was reading about Treblinka and the fate of other small children. They were very complicated feelings, but I think having them made the book better and more compassionate. How did the research and writing of this book change or influence your own view or interpretation of the events featured in the book? Although this biography doesn’t narrate the story of Irena’s “second life” after the Second World War, the process of writing this book and deciding not to write about the Soviet period in Irena’s life changed my understanding of the Cold War and Eastern Europe’s position profoundly. As someone who grew up during the Cold War, I was surprised in researching this book how much I didn’t know about that period and by how abiding its legacy is. Irena’s Children seems like a departure from your previous works, but your books also share some overlapping themes. Can you discuss these? What do you think that your works have in common? What binds them as an oeuvre? I suppose this book is a departure in the sense that the subject is a somewhat darker one. My earliest books were on the history of champagne and businesswomen, and I do still have a strong interest in both wine and in the history of entrepreneurship. But in another sense, Irena’s Children is very much part of my long-standing interest in biography. I’ve mostly written the biographies of strong, independent women, though without setting particularly out to do so. But I think what ties my books together most powerfully in my own experience of them is that I am interested in the stories of what people do when they are placed in difficult or even impossible situations. What do you do if you are a Jewish American woman living under a false passport in Paris and married to the director of the Hotel Ritz during the German occupation? Do you go home? Do you fight? Do you hide? Do you go mad? That is the story of Blanche Auzello in The Hotel on Place Vendôme. Or what do you do if you’re a twentysomething young widow, with no business experience and born at a time when women aren’t supported in working, and what you really want to do is build a company? What do you do when, given a chance to try, your first efforts are a failure? That’s the story of The Widow Clicquot. And here, the questions Irena Sendler and her friends faced were another version of that dilemma. How has Irena’s Children influenced your current writing projects or changed the way you write? Writing this book has reminded me how rich the experience of writing biography, as a particular subset of narrative nonfiction, can be, and I think I will probably do more in that genre as a result of Irena’s Children. At the same time, I think I will probably take a break from writing about the Holocaust for a while. I’ve written two books in a row now on the Second World War, and I know more about the Gestapo than any person ought to. As a reader, who are some of the storytellers you find most inspiring, and why? I suppose I tend to enjoy reading the same kinds of narrative nonfiction that I want to write, and I’ve often learned a great deal from other writers. Joan Didion’s essay “Goodbye to All That” is one of the most beautiful pieces of short memoir I know. Recently I also read John Vaillant’s The Golden Spruce, a nonfiction story about a tree sacred to the native people of British Columbia and the ecological disaster of the West, and I thought it was brilliantly done. I am also a great fan of Leonard Cohen’s novel Beautiful Losers, which I think captures something important about how history and storytelling are caught up with each other. I am interested in books that reimagine narrative nonfiction as a genre in which the storyteller is also a silent character. Are there any significant events from your own childhood or adolescence that you feel ultimately shaped the course of your life and your identity? And how has your own interpretation of this event changed over the years? Well, this is a very complicated question, and some day, perhaps, I will write a memoir about the answer to it. For the moment, what I can say is that you don’t end up with a name like mine unless there is a good story behind it. My experience of my personal history is that storytelling is at the heart of all our identities.